23 Grams Of Protein Per Serving Promotes Muscle Building Prevents Muscle Breakdown Easy To Digest. It Is Powered By Key Ingredients That Have Been Clinically Proven To Increase Strength And Muscle Mass When Compared To Other Protein Formulas. Results Have Showed That While It Tastes Great, The Quicker Absorption Of Protein Into The Bloodstream Will Increase Muscle Mass, Increase Strength Gains, Improve Recovery. 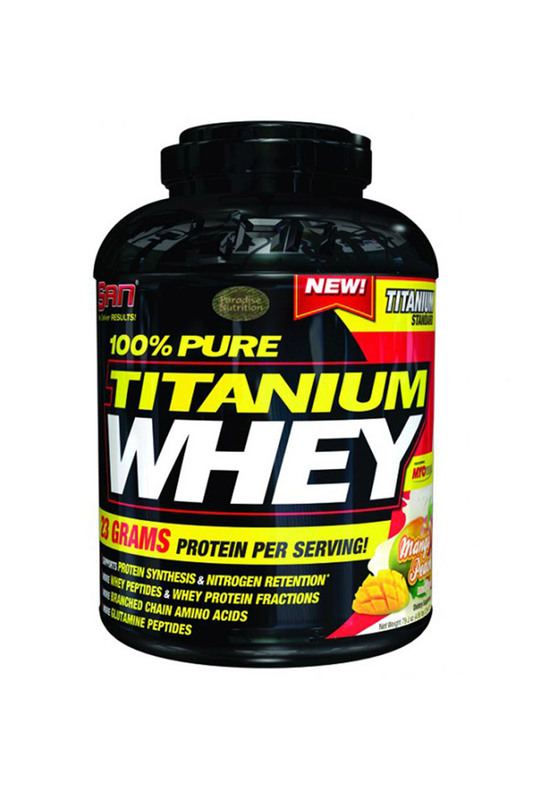 If You Want To Trigger An Increase In Muscle Growth With Quick Workout Recovery, Add 100% Pure Titanium Whey To Your Nutrition Plan. It Is Engineered For Advanced Muscle Growth And Post Workout Muscle Repair In A Way That Simply Destroys Any Other Tested Protein Formula.